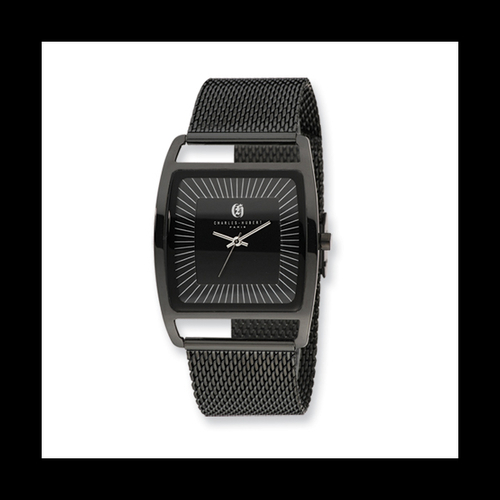 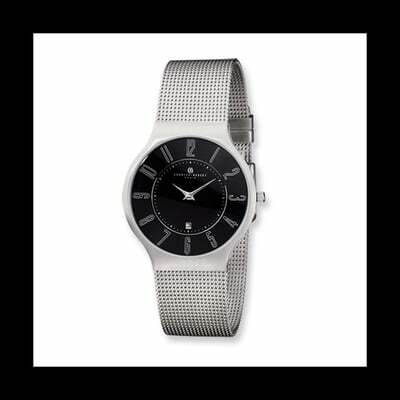 Sleek Charles Hubert stainless steel black dial mens watch. 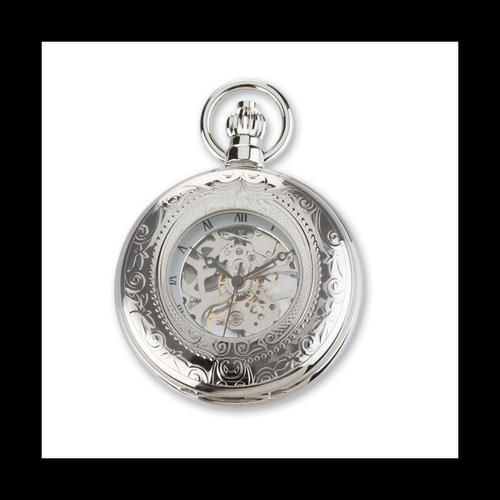 This great design measures 35mm wide at the case and features auto self-wind movement. Mens watch is complete with a dial with date, luminous hands, a mineral crystal, push button deployment, a stainless steel band, stainless case and back, and a lifetime warranty. 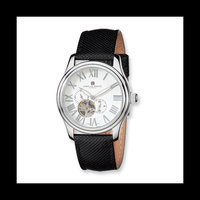 Very handsome mens watch. Handsome Mens Charles Hubert gold tone Skeleton dial watch. 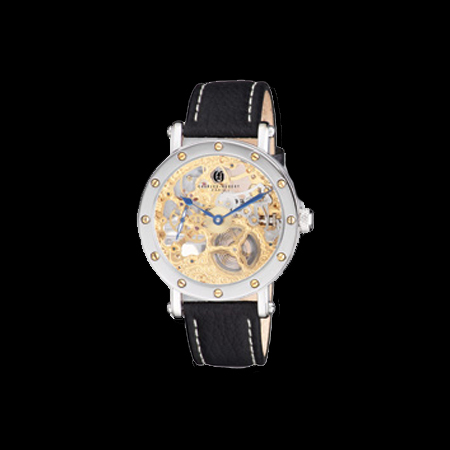 Features of this watch include 3atm water resistance, exhibition caseback, a leather band, lifetime warranty, mineral crystal, a stainless steel case and back, and an attractive skeleton dial. 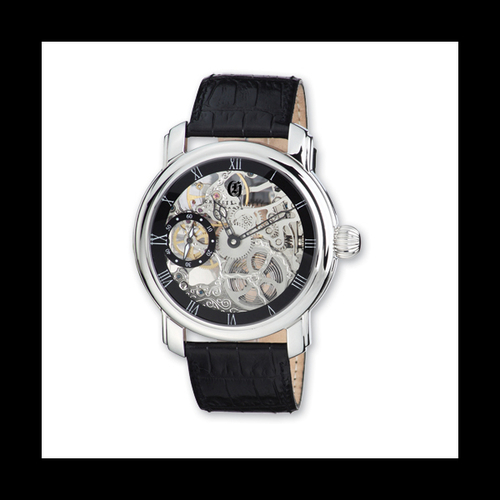 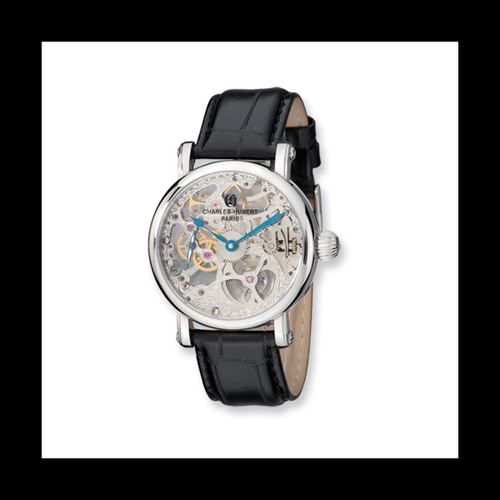 Handsome Mens Charles Hubert skeleton dial leather band watch. Features of this watch include 3 atm water resistance, lifetime warranty, and a leather band. Case measures 46mm and is stainless steel. 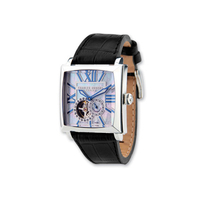 Mens Charles Hubert black leather automatic watch. 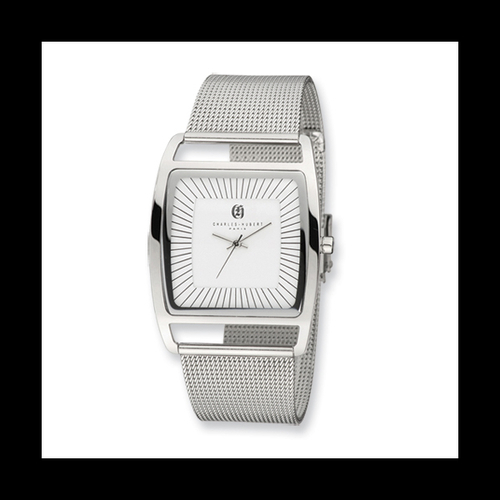 This attractive watch features a mother of pearl dial, stainless steel case, 5 atm water resistance, mineral crystal, 38mm case, auto self winding, just to name a few. 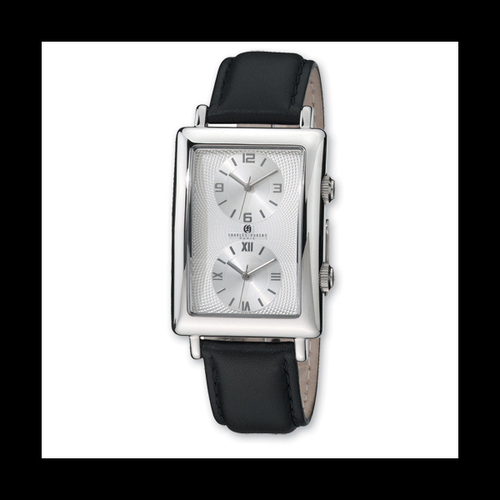 A nice Charles Hubert watch, great gift idea. 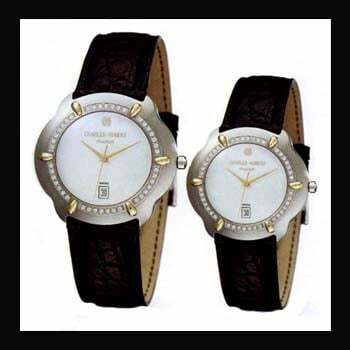 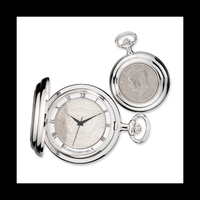 Charles - Hubert Diamond dress watches. Ladies selection (price shown) is set with .32ctw VS clarity G-H color diamonds. 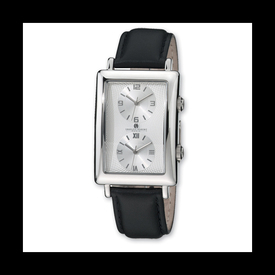 Gent's selection is set with .50ctw VS clarity G-H color diamonds. 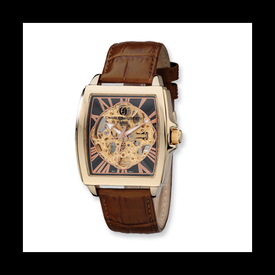 Leather band, stainless steel case and back, genuine crocodile leather band, sapphire crystal, 18t gold accents and a lifetime buckle to bucklet warranty. Available as shown white dial with brown band or with a black dial and black band.